I coach executives, managers, project managers, and project teams to attain new levels of personal and project performance. Through coaching, we can address organizational politics, team development, group process, interpersonal communication — anything that involves the connections between people. Phone coaching offers a confidential and cost-effective alternative to in-person meetings. 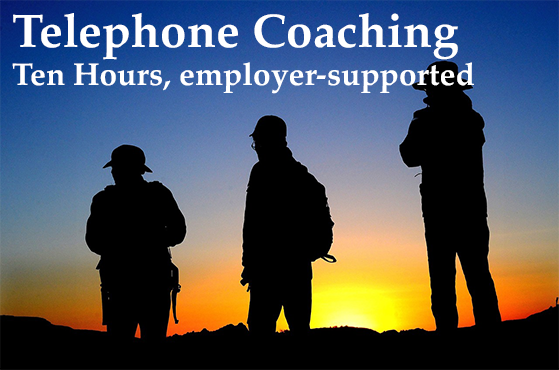 This item is an introductory block of ten hours of employer-supported phone coaching. The five-hour option is introductory, to enable us to set goals and set a direction, with limited financial risk to you.